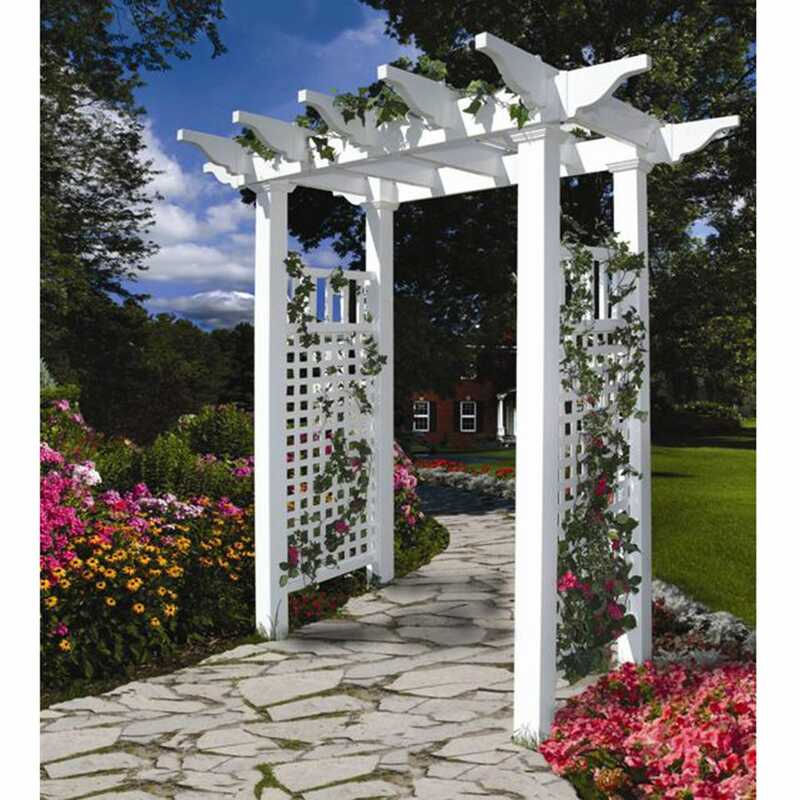 The Hamilton Style Arbor provides the perfect structure for any yard, garden or pathway. The classic flat top design is stylish, while still offering timeless appeal. Made of premium weather-resistant vinyl, this arbor is virtually maintenance free. Manufactured to offer the classic look of wood without the headaches. Just the occasional rinse with a garden hose is all you need to keep your arbor looking great year after year. Vinyl is strong and durable, so vines or plants can cling on your arbor without having to worry about rotting. Backed by a 20 year manufacturer’s warranty. Measures overall 78 inches by 52 inches—86 inches tall with 4 by 4 inch posts. plus tax and delivery fee...pricey!